Sparkle Market is Grafton's number one choice for fresh cut meats. 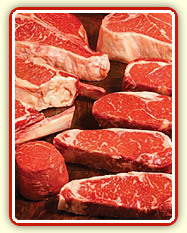 Whether it's Angus beef or USDA Choice Beef, Sparkle offers the best beef products available. Numerous selections and cuts of chicken, pork and seafood round out Sparkle's great meat selection. With in-store butchers, all meats are fresh cut with no additions, fillers or injections. 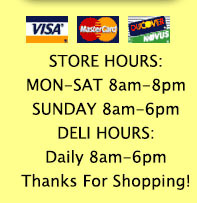 Come in and see our great selection and affordable prices.